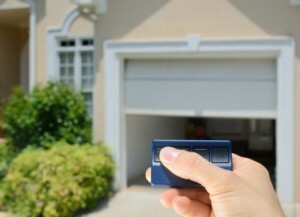 Home » Blog » What Happens if I Lose My Garage Door Opener Remote? What Happens if I Lose My Garage Door Opener Remote? Like a lot of other things in our home, it’s very easy to take your garage door opener for granted until something goes wrong. It’s an incredibly frustrating scenario we hope you never face; you lose your garage door opener remote and the door is closed. If you ever do have to deal with this issue, here’s the best way to handle it. Hopefully your garage is built next to your home and not separate. However, even if it’s built separately, you may still be able to gain access through a window. If you have neither, however, you’ll have to get in touch with a professional for help. Once you’re in the garage, shine a flashlight on the door opening mechanism. You’ll need a ladder to get to it. Once you do, reach up and pull the release cord (it will look similar to your lawnmower’s starter cord). There may be a button that you need to push rather than a cord. After engaging the mechanism, simply raise the door manually. Before you go rushing off to your nearest hardware store to get a new opener you need to write down the make and model of garage door. Make sure that the new unit will be properly configured to match the radio signal frequency of your old opener. At Action Garage Door, we never want you to have to go through this extremely annoying issue. There is a possibility that your opener can be repaired, but more likely you’ll need to purchase another one. Give us a call at 817-204-0917 or contact us online if you need help with any sort of garage door component repair or replacement.